That is the information at the National Conference on Child and Early Marriage organized by the Committee on Ethnic Minority Affairs (CEMA) and UN Women, UNICEF, UNFPA, non-governmental organizations (World Vision, Plan International, ChildFund, iSEE) with support of Irish Aid and other funds, will also identify support needed to make commitments a reality in Ha Noi, June 29, 2017. Jointly the conference have more than 100 experts from international organizations, governmental agencies, local organizations and academia have gathered in Ha Noi to discuss national and international experiences, effective strategies and interventions, and policy recommendations for Viet Nam to address child and early marriage. Globally, 15 million girls marry every year before they reach there eigtheenth birthday. The 2030 Agenda for Sustainable Development sets Target 5.3 to eliminate all harmful practices including child, early and forced marriage by 2030. 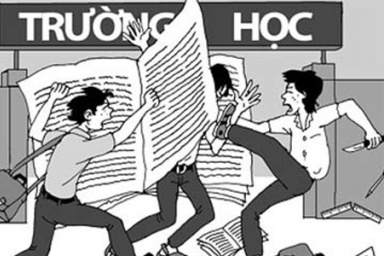 In Viet Nam, despite the Law on Marriage and Family setting the minimum legal age for marriage at 18 for women and 20 for men, 11% of women aged 20-49 years were married or in union before the age of 18. Moreover, there are disparities across regions and ethnic groups, and communities that are left behind socio-economic development and progress towards gender equality are struggling with higher prevalence of child marriage. The first national survey on social economic conditions of 53 ethnic minority groups conducted by the Committee on Ethnic Minority Affairs (CEMA) and the General Statistics Office in 2015 revealed that the average rate of child marriage among the 53 ethnic minority groups was as high as 26.6%, while some ethnic minority groups showing very high rate of early marriage ranging from 50 to 70%. 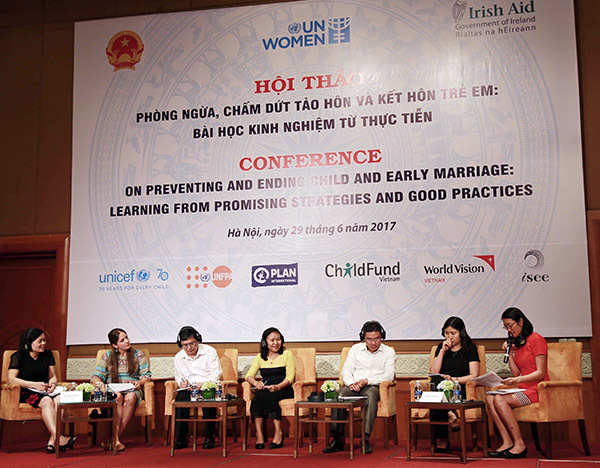 Adding to the comments above, World Vision Viet Nam’s National Director Tran Thu Huyen on behalf of the non-governmental organizations supporting the conference emphasized the role of children in finding solutions for this issue. "It's very important to listen to children's perspectives on the root causes of child marriage and involve and empower them to participate in finding solutions to prevent and end child marriage, especially in ethnic minority groups," she said. To ensure Viet Nam can develop a holistic and comprehensive approach to end child marriage, the National Conference on Child and Early Marriage examines and discusses lessons learned on key factors and barriers that impede effective interventions; and identify opportunities for multi-stakeholder collaboration and integration of child and early marriage interventions into development and socio-economic programmes in Viet Nam’s context, particularly in ethnic minority regions. 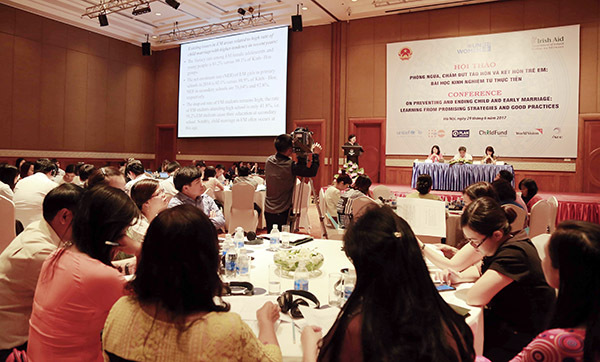 Recommendations of the conference on policy reform and future research to end child and early marriage in Viet Nam will be summarized and introduced to relavant national ministries and oganizations for their actions.